Discover reputable Ramsey asphalt overlay services when you call (201) 327-5258 today. We will send someone over to provide you with a free estimate, then get your asphalt looking like new again. Click here to find valuable online sales and coupons. When asphalt surfaces develop problems and need work to correct them, there a handful of effective techniques that can make a difference. One such technique is known as an asphalt overlay, and it is used in several scenarios to help restore the surface to its original form. Want to know what our customers think of us? Click here to see online reviews. An asphalt overlay refers to applying a second layer of asphalt over asphalt that is already there. If the existing asphalt is in generally good condition with some problem areas here and there, an overlay may be a practical solution. A certain degree of cracking, sunken asphalt or crumbling is usually fine for using an overlay, but if the damage is extensive, you may need something more substantial. Quite often, the new layer of asphalt will end up mirroring the old cracks and holes if they are serious and haven’t been repaired correctly. As mentioned above, asphalt overlays are good solutions if the existing asphalt is in decent condition and the damage is minimal. They are also valuable techniques if you’re working on a budget or if you’re under a time crunch to get the surface in tiptop condition. Overlays help to restore the aesthetics of a parking lot or roadway, and they improve the safety element, because any cracks, holes or depressions will be filled or leveled off. Depending on where your asphalt surface is located, you may need to protect the public, shoppers, employees or students. Even though an asphalt overlay isn’t as extensive as a full replacement, it’s still much more than simply spreading some new asphalt around and calling it a day. Many factors have to be taken into consideration when using the overlay method and some other techniques such as milling may be required to get the job done correctly. 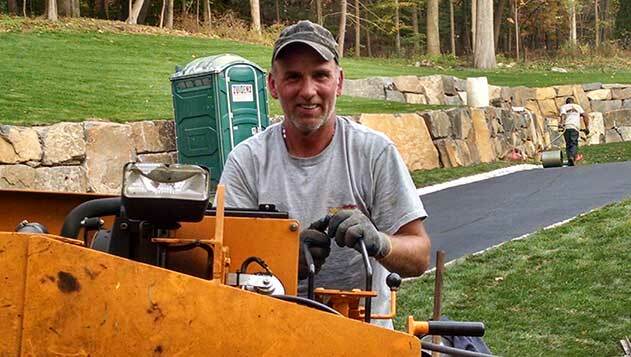 Relying on an experienced, professional paving contractor is the only sure way to get the surface corrected to the exact specifications you need. A great price and timely service is no use to you if the surface won’t drain properly and you’re left with extensive water damage. Find a reputable service provider that has done this many times before, and you’ll be well on your way to a successful asphalt overlay. Don’t wait for those little issues your asphalt surface to multiply. Call McFarlane Asphalt at (201) 327-5258 in Ramsey, NJ and the surrounding area so we can find a solution that makes sense.